Every year, approximately 200,000 overseas workers in skilled categories land to work in Canada on Temporary work permits. Work visa allows working in Canada without facing point based evaluation. To work in Canada for an interim period, overseas workers must have a job offer recommendation by an employer from Canada and should be permitted a labor market opinion by Human Resources and skills Development Canada. 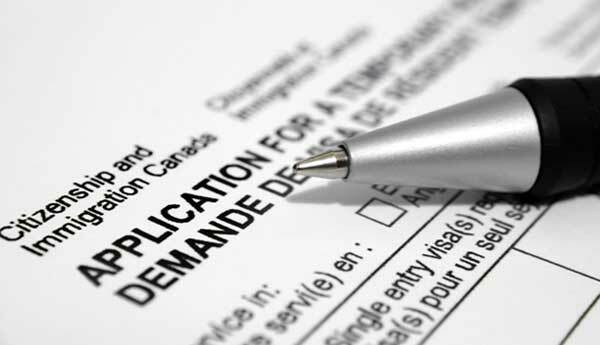 Canadian work visas are different from immigration visas and are temporary in nature. These work permits are granted to those having a job offer from a Canadian employer, who is accredited to employ an overseas worker for the particular position. Ensure officer that you leave the country after expiry of work permit: Applicants must have a valid passport to make sure that they will go back to their country once work permit is over and not residing permanently in Canada. Those who are applying from a country to which they are not a citizen must submit the proof of present immigration status. Get a job offer for which overseas hiring is eligible: Job offer must be in writing so that can be produced as evidence to show that there is authorized employment for applicants in the country and they are taking entry legitimately. Proves of meeting job's eligibility criteria: Applicants must be having supportive documents, such as resume, work experience certificates, and a degree to prove their eligibility. Do not have any criminal record. Must not be a threat to country's security. Prerequisites to enter the country: For Canada work visa, one has to fulfill common essentials. They may require a valid passport or temporary resident visa. To confirm the requirement of visa, applicants should visit the Canada official website of Citizenship and immigration, to view the list of countries requiring visas or temporary resident visas for entry. Work visa application fee: You have to pay certain amount as a fee for getting job offer in Canada. This payment will be included as a process of work visa. This fee can be paid online through Citizenship and immigration Canada website. Canada is one of the most promising country, which is a dream work place for one who loves to be in the lap of the nature and work in natural beauty. The amazing people, beautiful landscape, effervescent cities have gained it the best working holiday place in 2017 for Australians. Australians working in visa for Canada place themselves as the lucky ones to be working in the lap of the nature. This country provides you a combo package consisting lucrative job and enticing place, proving itself the best place to work.